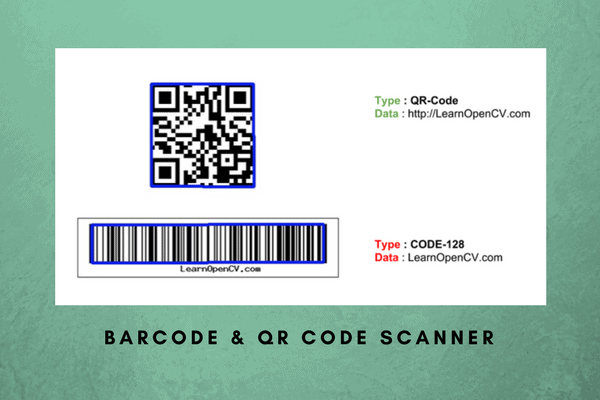 In this post, we will share C++ and Python code for writing a barcode and QR code scanner using a library called ZBar and OpenCV. The Python code works in both Python 2 and Python 3. If you have never seen a barcode or a QR code, please send me the address of your cave so I can send you a sample by mail. Jokes aside, barcodes and QR codes are everywhere. In fact, I have a QR code on the back of my business card as well! Pretty cool, huh? How to detect and decode barcodes and QR codes in an image? The best library for detecting and decoding barcodes and QR codes of different types is called ZBar. Before we begin, you need to download and install ZBar by following the instructions here. The official version of ZBar does not support Python 3. So we recommend using pyzbar which supports both ython 2 and Python 3. If you just want to work with python 2, you can install zbar and skip installing pyzbar. Data: This is the data embedded inside the barcode / QR code. This data is usually alphanumeric, but other types ( numeric, byte/binary etc. ) are also valid. Location: This is a collection of points that locate the code. For QR codes, it is a list of four points corresponding to the four corners of the QR code quad. For barcodes, location is a collection of points that mark the start and end of word boundaries in the barcode. The location points are plotted for a few different kinds of symbols below. ZBar location points plotted using red dots. 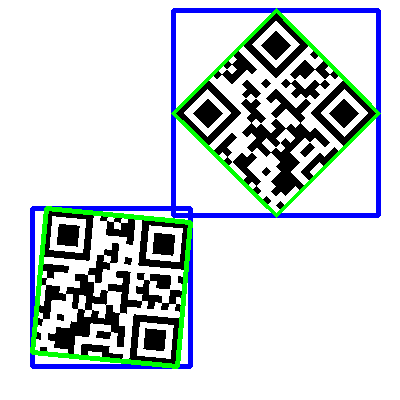 For QR codes, it is a vector of 4 corners of the symbol. 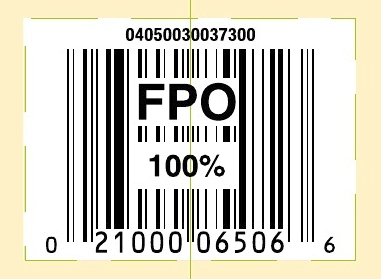 For barcodes, it is a collection of points that form lines along word boundaries. We first define a struture to hold the information about a barcode or QR code detected in an image. The type, data, and location fields are explained in the previous section. Let’s look at the decode function that takes in an image and returns all barcodes and QR codes found. First, in lines 5-9 we create an instance of a ZBar ImageScanner and configure it to detect all kinds of barcodes and QR codes. If you want only a specific kind of symbol to be detected, you need to change ZBAR_NONE to a different type listed here. We then convert the image to grayscale ( lines 11-13). We then convert the grayscale image to a ZBar compatible format in line 16 . Finally, we scan the image for symbols (line 19). Finally, we iterate over the symbols and extract the type, data, and location information and push it in the vector of detected objects (lines 21-40). Next, we will explain the code for displaying all the symbols. The code below takes in the input image and a vector of decoded symbols from the previous step. If the points form a quad ( e.g. in a QR code ), we simply draw the quad ( line 14 ). If the location is not a quad, we draw the outer boundary of all the points ( also called the convex hull ) of all the points. This is done using OpenCV function called convexHull shown in line 12. Finally, we have the main function shared below that simply reads an image, decodes the symbols using the decode function described above and displays the location using the display function described above. For Python, we use pyzbar, which has a simple decode function to locate and decode all symbols in the image. The decode function in lines 6-15 simply warps pyzbar’s decode function and loops over the located barcodes and QR codes and prints the data. The decoded symbols from the previous step are passed on to the display function (lines 19-41). If the points form a quad ( e.g. in a QR code ), we simply draw the quad ( line 30 ). If the location is not a quad, we draw the outer boundary of all the points ( also called the convex hull ) of all the points. This is done using OpenCV function called cv2.convexHull shown in line 27. Finally, the main function simply reads an image, decodes it and displays the results. Great post as always! Would be nice if some visuals were included too for some steps, for ex, to show the result of the convex hull. Thanks. The result of the convex hull is basically the rectangle you see in blue. Hello Sir, I am getting this error while running the python(3.6) code. Please take a look. Can you tell me what i am doing wrong? Did you install using the github pull request I suggested? If not, pyzbar does not support location. Hi, I can’t log into the forum. Can any one help? When I tried lost passwd link but it says my email is not matched. But I have no issue to log into the course. The forum is only part of the paid course. If you have taken the course, please send me an email [email protected] so we can investigate. Of course, I am enrolled in the paid course. And I also sent you email, but got no response and it might be ended at your spam box. Still waiting for support. Sent you email. Sorry for the inconvenience. Thank you, now I got access to it. Hello Sir, What exactly gives in location information of qr code using ZBar ? It is image co-ordinate or what? How can i find the location of qr code corners in terms of depth( (x,y,z ) or in world co-ordinate)? I want to find the the distance between camera to qr code. You cannot find the distance without knowing the camera intrinsic parameters ( most importantly the focal length ). I have not used Windows in a very long time and am not sure how git works on windows. But you need git ( version control ) installed. if you find error after typing sudo apt-get install libzbar-dev libzbar0. do you know if pyzbar current version (0.1.5 3/18/2018) supports location? It looks like the branch has been merged in the latest repo. Will it checkout to see in a day or two. yes. pip install pyzbar will install 0.1.7.
thank you for your great post !! and I use frame instead of im at the rest of code , but it didn’t work. Yes, you can use this on a webcam frame. Make sure the lighting is good and there is no motion blur. Ok, I will try to put together a video demo. Give me some time. As more stores try to go cashier-less, I think this tech is gaining more interest. Strange indeed. I will check this and report in a couple of days. Thanks for pointing out. I noticed the latest pyzbar now uses rects and polygons to represent location information. I referenced bounding_box_and_polygon.py and read_zbar.py files from pyzbar github site. I modified my original code to reflect the latest changes to the pyzbar (0.1.7) package. 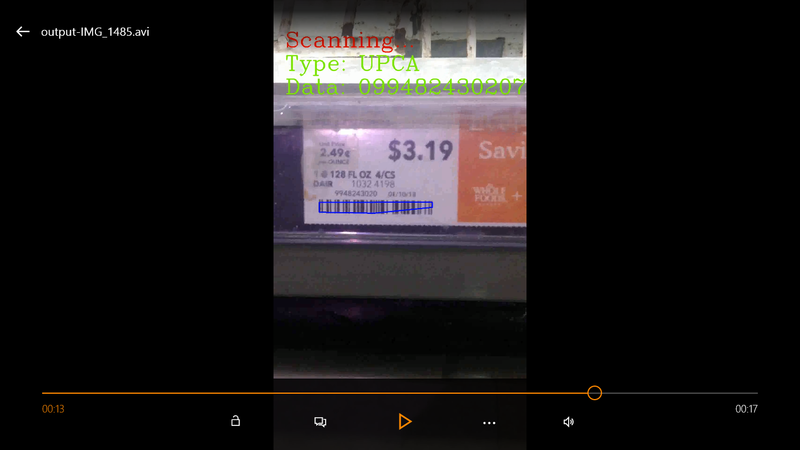 The code is working well with video and rectangular barcodes on ubuntu 16 (py27). I still need to validate with QR code to make sure they display correctly (e.g. rectangle vs polygon). Hello, I would like to simply get the code read by the zbar and paste it into the active field by the mouse cursor. Is there such a possibility? Yes, sure. You just need to know how to get that information from zbar’s output to whatever GUI library you are using. Please let me know the install command equivalent on Linux since the command above works on ubuntu, but not on linux. which linux distro do you have? Ubuntu is linux. Thank you so much Satya, terrific work. Can you please show us how to install Zbar with pdf417 enabled so we can scan those barcodes as well. Much appreciated. how do i download zbar because i am a bit of a beginer and i don’t really understand any of the instructions (i am using python 3). i don’t know if it is because i don’t have zbar but when i enter your code into python it doesn’t seem to recognise any of the imports. m using python 3.7 and the downloaded code is using zbar..
Why not? Are you facing any issues? Yes, I have tried with 2000×2000 image (with qrcode size around 1000×1000 pixels) all were fine. then made a slightly larger crop from same main image (2100×2100), this one failed. I will use high DPI scans to extract qrcode, thats why I need to be able to render larger images. I am trying to get the C++ code working and reading a barcode. I have converted an image to greyscale, the image has once EAN13 code in it and scan returns 0. Are you able to offer any advice? Are you able to post your image here? Thanks for post code is working fine for few images, but also getting wrong values in few cases, like for the image I posted, should I add any additional things, how can I get this? Thanks Satya for this great tutorial. What would you suggest I use to read the metadata from the barcode? For example if we scan a book barcode and we have the data about the book stored, I want to be able to get the metadata so I know which book was scanned. Or should I store the barcode for each book and do an image matching/comparison?